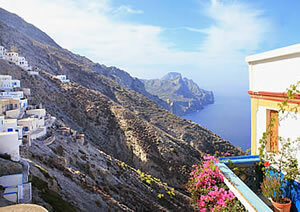 Karpathos is located on the north side of the Aegean Sea and you have many reasons to visit it. Explore the rich seabed of the island where you will encounter shipwrecks, submarine caves and the endless blue of the clear sea. 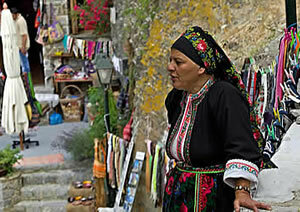 The traditional villages, with the locals always having their door open to the visitors, will surprise you. Traditional life remains unchanged in time, with a lively example on the north side of the island, where bread is baked in ovens built on the street. Discover the island, hiking in its high mountains, its valleys, with paths leading to sights such as the monastery of St. John of Vourguna, dug in depth of 100 stairs in the land. 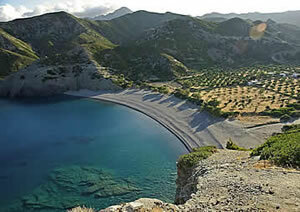 Travel to the island of Sarria, or Sharia, on the northern end of Karpathos, with only 45 residents, of which 22 scientists are investigating the Mediterranean monk seal. An island that has managed to fit everything: an impressive gorge, a cave in which hawks nest, a dense pine forest, white chapels scattered in every corner of the island, vertical rocks that host rare bird species. There is almost intact a medieval village, with Minoan roots, the palaces. Its inhabitants lived in its buildings and are dated from the 7th to 10th centuries. Many of these are founded or built with material from the earlier settlement that existed here since the Minoan years, in the 15th century BC. The settlement grew slowly and became a great city, ancient Nisyros, with brilliant buildings and sanctuaries, such as the Temple of the Poseidon Ferry in the Strait of Saria - Karpathos. Life in the city continued unceasingly until the year 647, when it was ravaged by the Saracens pirates. After the pillage, however, they settled themselves here, since the place was an ideal base and base for their hijackings. They have lived in these homes for three centuries, until the year 961 that Nikiforos Phocas, the Byzantine general, was banishing. The island is targeted at all ages. The younger ones can enjoy the nightlife of Pigadi, while one can relax anywhere on the island. The beaches, with crystal clear waters, are so many that one week's holiday is not enough for anyone to meet. The eastern shores are pebbly, while on the west side of the island one finds only sandy beaches. Everywhere the waters are warm and crystal clear, ideal for swimming or diving, while the island is famous for its windsurfing destination.